With more than 91,000 acres already scorched, the Ferguson Fire continues its destructive march through one of America’s most iconic national parks. The National Park Service (NPS) announced nearly all entrances into Yosemite National Park would remain closed indefinitely due to the ongoing Ferguson wildfire. The announcement extends the temporary closure of Yosemite Valley and other sections of the park that was previously set to expire Sunday. The NPS said numerous sections of the park will be closed to visitors. Among them are Yosemite Valley; Glacier Point; the Mariposa Grove of Giant Sequoias; the Merced Grove of Giant Sequoias; El Portal, Wawona, and Big Oak Flat roads; and Wawona, Crane Flat, and Tamarack campgrounds. In addition, every entrance into Yosemite will remain closed except Tioga Pass and part of Tioga Road, accessible from highway 395 along the eastern edge of the park. 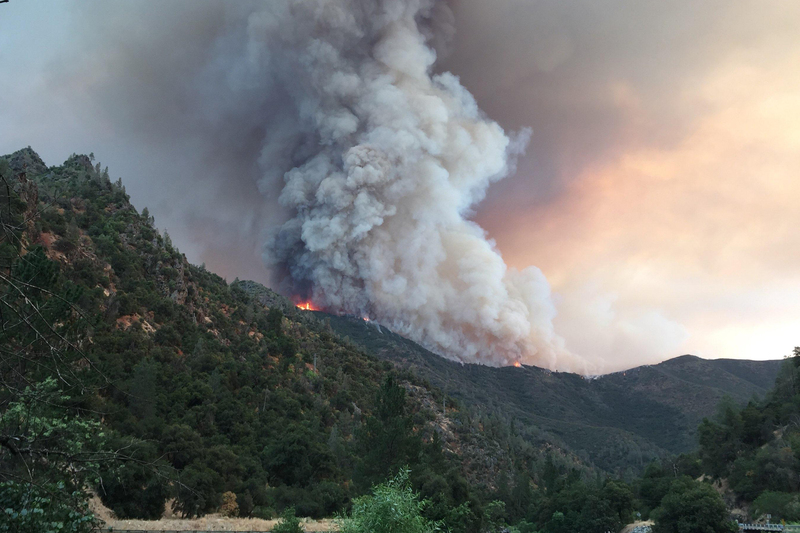 Now more than three weeks old, the Ferguson Fire stands as the largest wildfire in the history of the Sierra National Forest, according to Inciweb. Officials began evacuating park visitors last month as the firefighters struggled to head off the blaze. Now in its 25th day, the fire is just 38 percent contained. Despite the closures, the NPS said “a large portion” of the nearly 750,000-acre park remains open to visitors. “Tioga Road from Tioga Pass to White Wolf is open to all visitors and vehicles. Most of the trails and campgrounds along this route, including the Tuolumne Meadows Campground, are open. Visitor services along Tioga Road, including the High Sierra Camps and the Tuolumne Meadows Store, are open,” the NPS posted. 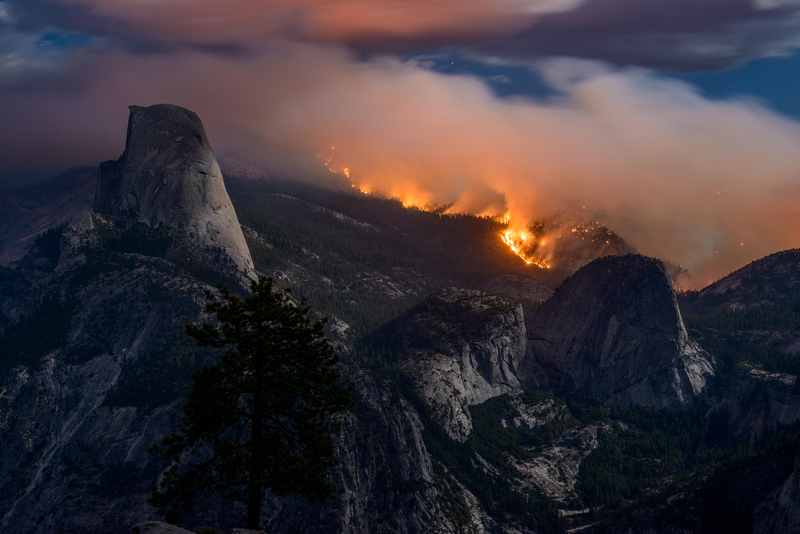 The New York Times reported the last major closure due to fire in Yosemite was in 1990, and that the Ferguson Fire closure is the largest in the park since massive flooding forced the park to close for two and a half months in 1997. So far, the Ferguson Fire has claimed two lives. Visit the NPS Yosemite website for further updates.